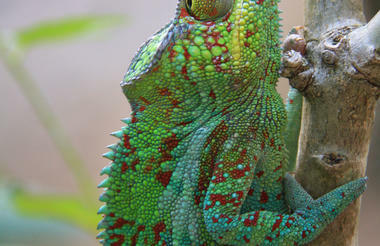 The Galapagos of the African Continent – Madagascar is the fourth biggest island in the world with much to offer. 80% of her fauna and flora is endemic. The Indri lemur with its high wailing call is just one of the unusual species found on this fascinating island. The Avenue of the Baobabs makes fascinating photographs while whale watchers can escape to Nosy Mangabe or Ile St Marie. Andasibe/Mantadia National Parks guarantee good lemur sightings and the best Madagascar safari plans include Berenty Reserve and Masaola National Park. 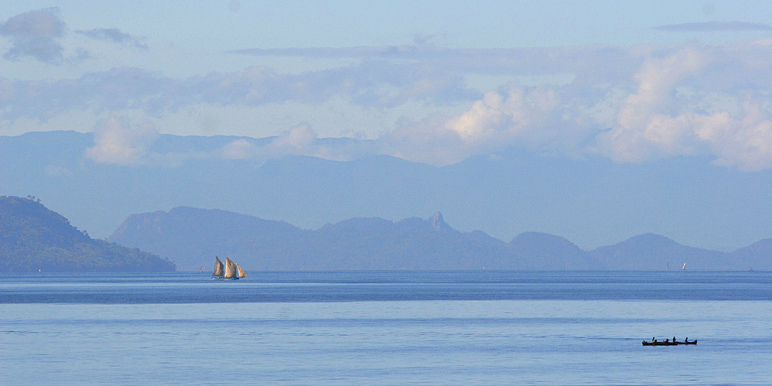 Madagascar is 400 km off the coast of east Africa, south of the equator, and is the fourth largest island in the world. 165 million years ago it was attached to the large continent of Gondwana. As the continent broke up due to movements of the Earth’s crust, Madagascar was separated and settled just off the coast of Africa. Here it evolved in a way that has been seen nowhere else on the planet. Today it’s unique with endemic flora and fauna. There are six plant families that exist only on Madagascar and 1,000 orchid species. Thousands of insects, over 300 species of frog, five bird families, 270 known species of reptile and more than 100 mammals including lemur, a whole group of primates endemic to the island. Their evolution was partly due to the species left on the island following the break up and to other species arriving on Madagascar once it had separated. Unspoilt beaches, unrivalled wildlife, exceptional birding and some incredible scenery, Madagascar is a beautiful and interesting place to explore, with enough to keep you occupied for as long or as short as you desire. A bucket list destination if you’re looking to explore somewhere a little more off the beaten track. The birds in Madagascar are extraordinary. There are three national parks in the eastern rainforest: Ranomafana National Park, Andasibe-Mantadia National Park and Masoala National Park. Ranomafana – ground-rollers, emutails and sunbirds are among the most popular. Masoala – more rare birds such as the Madagascar serpent eagle and the Madagascar red owl which are both protected species. 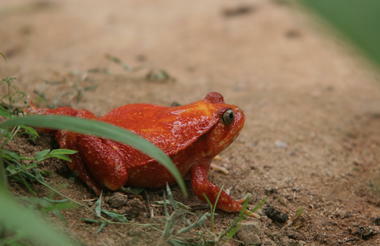 Andasibe-Mantadia – most of the more common rainforest endemics can be found here. Other’s worthy of a mention include warblers, vangas and nightjars. The parks wetland areas host different species particular to this habitat. 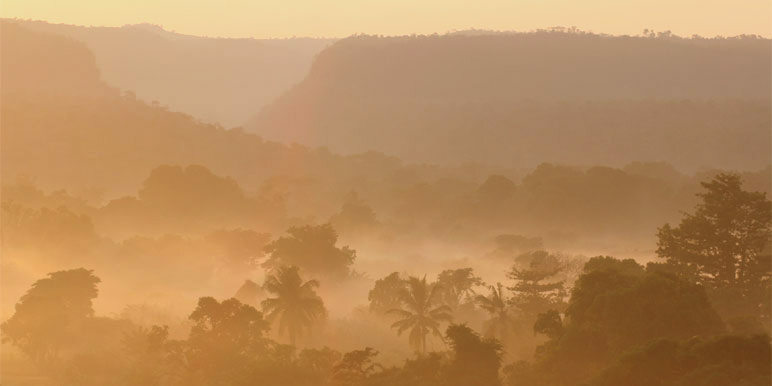 The tropical dry deciduous forests of the Ankarafantsika National Park are home to vangas, raptors and kingfishers. There’s a transition forest region of the Zombitse-Vohibasia National Park is home to birds such as the giant and crested couas, Madagascar hoopoe and several different weavers. The final birding habitat is the southern sub-arid thorn thicket where there are two areas; Ifaty/Mangily and St Augustine’s Bay. Here you can find ground-rollers and nightjars, kestrel and coua. Ifaty in particular is a good spot for the banded kestrel and in St Augustine’s Bay the Madagascar plover can be found near puddles along the road. 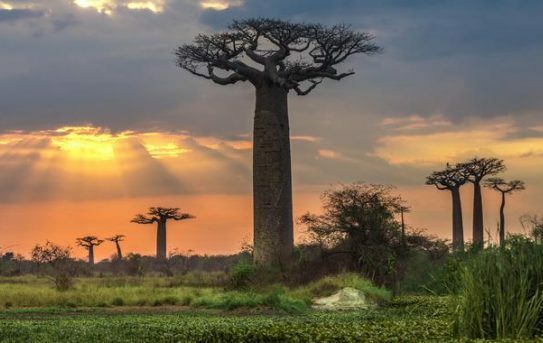 One of the more stunning aspects of the evolution of life on Madagascar can be seen in the baobab trees around the island with six out of eight species endemic to Madagascar. Best seen at the Avenue des Baobabs with its nearby town of Morondava, visit and marvel at the majestic power of nature. 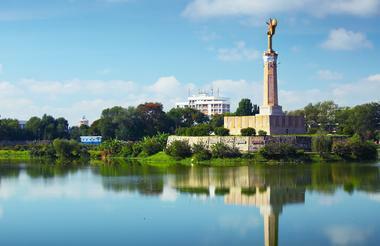 Explore the museums in Berenty Reserve, Toliara, Antananarivo, Mahajanga and Tana. These range from ethnological to natural history, and the best is the Museum of the Antandroy (People of the Thorns) in Berenty. A rich cultural history make the people of Madagascar just as interesting as everything else, especially the after-death customs, and it is possible to go on a trip to view a famadihana, in which the remainders of relatives are taken from tombs and turned over in a spiritual ritual. Some of the rock formations of this amazing island can be observed in the Tsingy de Bemaraha National Park, Isalo National Park, Anjajavy Nature Reserve and Ankarana Special Reserve. There are nine dive sites around the island with almost every species of hard coral in the Indian Ocean living on the reefs. Global warming has not yet affected the coral drastically enough for any biodiversity to be lost. The fish life is amazing, and it is possible to meet whale sharks whilst swimming. At Nosy Be, one of the better dive sites, there is a wealth of nudibranchs. Here the local fishermen and diving operators work together to protect the environment with the aim of encouraging tourism with good diving conditions, making this an exciting experience. Other recommended dive islands are Nosy Mangabe and Ile Sainte Marie, both are great whaling destinations too. 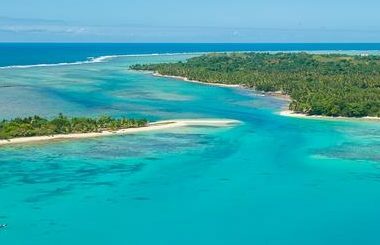 There are some wonderful beaches on the coast of Madagascar; swimming is better on the west as the beaches on the east have a danger of sharks, and many are sunbathing only. 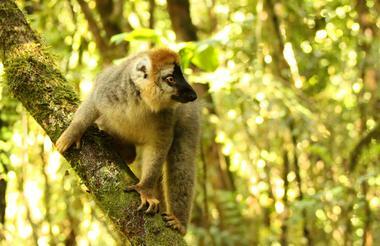 The climate of Madagascar is tropical, and this largely determines when you take your trip. mid September to January – good for birding the eastern rainforest is best from whilst the other areas are good all year round. Air Madagascar is the country’s main airline, and it serves over 40 destinations making air travel the most efficient way of seeing the country.  When travelling to Madagascar if you use this airline for the international flight, you get a 25% discount on any internal flights provided you are there from one to four weeks. Other international airlines operate, including Air Mauritius, Air France and InterAir from Kenya, the USA and Australia. This is the only way to get there, unless you take a yacht from South Africa, which will need to be privately chartered. Anjajavy Nature Reserve one of the most luxurious places in Madagascar, a protected area between Mahanjanga and Nosy Be. 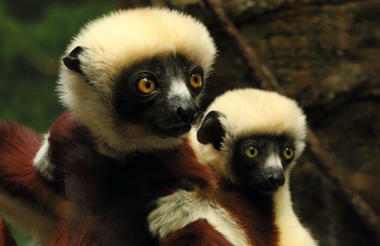 Amazing wildlife include lemurs. 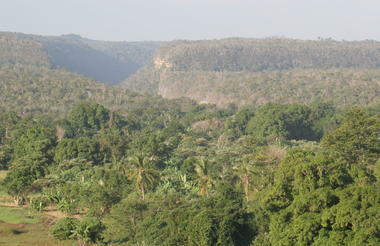 Madagascar's Maroantsetra home to the Aye Aye lemur in Masoala National Park. 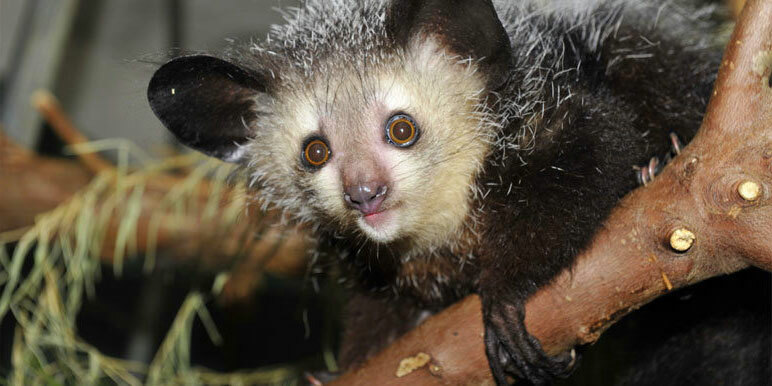 Aye Aye is known for its long middle finger, foxy ears and rodent teeth!